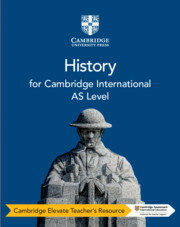 Written by an experienced author team that includes examiners, a practising teacher and trainer, this Cambridge Elevate edition supports the Cambridge International AS History syllabus. 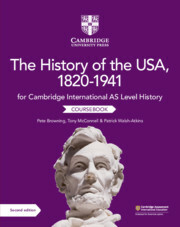 With increased depth of coverage, this coursebook helps build confidence and understanding in language, essay-writing and evaluation. 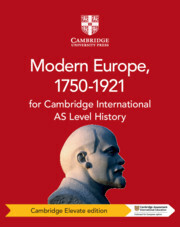 It develops students’ understanding of history with the five new ‘Key concepts’, for example exploring similarity and difference in the aims/achievements of Witte and Stolypin. In addition, it encourages individuals to make substantiated judgments and reflect on their learning. 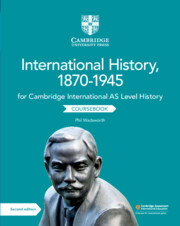 Students can consolidate their skills though exam-style questions with source material and sample responses.